Weekly Wrap: $720 Million Spent on Engagement and This Is All We Get? Employee engagement is one of those topics that people can’t seem to get enough of. There are a lot of reasons for that, but mainly, I think it is because a great many managers know that engagement is a good thing that would benefit their organizations but they simply don’t know how to get their workforce to buy in. But in all the back-and-forth discussion about engagement, there’s one thing that seems to be perfectly clear: businesses are spending a big chunk of money trying to make it happen. To put it more simply, organizations are spending nearly three-quarters of a billion dollars per year (emphasis added) trying to improve employee engagement — and that only represents about half of the $1.53 billion that Bersin projects that companies will eventually spend on it. My take? Never has so much been spent on so very little. Makes you wonder what organizations are getting for their $720 million, doesn’t it? Providers do not agree on how to define employee engagement. In fact, definitions vary dramatically, with elements including commitment, goal alignment, enjoyment, performance, and the antithesis of “burnout” – to name just a few. Buyers need to define what employee engagement means for their organization and select providers that align with that definition. Market innovators are integrating engagement into all HR functions. HR leaders increasingly are focused on aligning engagement efforts with business strategy, and they are also integrating engagement with HR programs and organizational operations. From recruiting to building a leadership bench to alumni relations, innovative providers are helping their clients infuse engagement into every step of the employee lifecycle. “Big Data” and analytics are on the rise. While most of the engagement providers reviewed in this report offer some way to measure the relationship between engagement and organizational performance, only a few have moved into a new frontier – HR analytics. Since HR analytics enables organizations to optimize workforce performance and fuels continual improvement efforts, buyers should consider their requirements in this area carefully. Can you improve it if you can’t define it? 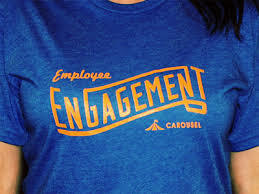 For my money, the fact that no one really knows how to define employee engagement is the real bottom line problem when it comes to trying to improve it. If you can’t define it, how the hell can you be expected to nurture and grow it among your employees? Until we get our hands around engagement — defining it, measuring it, appreciating it, leveraging it — we’ll simply be throwing more good money after bad chasing something that everyone knows is good to have but that most organizations don’t have the foggiest clue about how to generate. The Bersin report, if we look at it closely, may be a good start that heads us in that direction. Of course, there’s a lot more going on than just how much organization’s are spending to improve engagement in the news this week. Here are some HR and workplace-related items you may have missed. This is TLNT’s weekly round-up of news, trends, and insights from the world of talent management. I do it so you don’t have to. How much would you pay for an idea? At Southwest Airlines, according to the San Francisco Chronicle, management is looking for ideas from workers that would save the company $5 a day. Not who you want handling your food. The Miami Herald reports that nine out of 10 — yes, 90 percent — of Miami restaurant workers do not get sick days, and as a result, 50 percent of them have gone to work sick at some point. How the lack of normal office noise hurts productivity. NPR’s Health Blog notes that some workers find the absence of other workers a problem during vacation season, because the lack of people’s voices make the normal sounds of the office more apparent, and in turn, more distracting. Just HOW much money does that new Best Buy CEO make? The Minneapolis Star Tribune does a nice job of breaking down the specifics of the compensation package the new CEO of Best Buy is getting (yes, he gets a $20 million signing bonus). But here’s the kicker: according to The Wall Street Journal, Frenchman Hubert Joly would REALLY get a giant payout (as much as $32 million) if the electronics retailer gets taken over, as is being proposed by the company’s founder, who holds 20 percent of Best Buy’s shares. And you wonder why so many people believe CEOs are grossly overpaid?